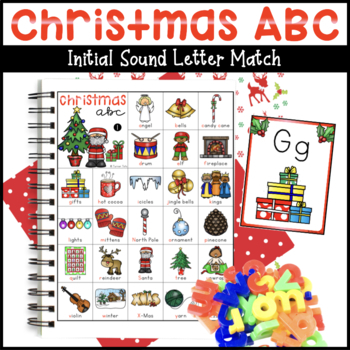 Grab a magnetic letter out of the stocking and match it to the Christmas object beginning with the same sound! Use with a cookie sheet underneath so the magnets stay in place! Great for a Christmas theme! Check out more THEMED BUNDLES! Click the ★green star★ at the top of my store to follow me to receive 20% off all new products for the first 24 hours a new product is posted! Visit my store Turner Tots! If you have any trouble with your download, please e-mail me at turnertots23@gmail.com. I would be happy to help figure it out!